It was a busy weekend for Helsby with a variety of runs and events taking place over the weekend with many people enjoying the blue skies for a change. Saturday saw Colin Bishop finished 3rd in his category and 9th overall in the Northern Veterans cross country championships at Victoria Park Warrington. Joe and Mario and Jane were there to watch Colin’s great result, mixing it with the best in the area in a quality field highlighting what a good achievement that was. There were eight runners out for Helsby (Just use the sort column in the results to see who was out for Helsby) from over 150 runners in total and I think a new 5k PB for Tom DeJong although I’m unable to find his name in the results? 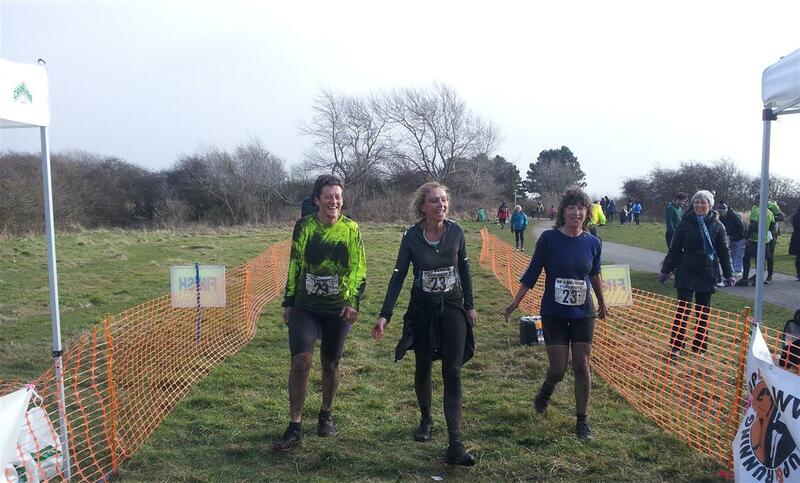 “Just to let you know quickly Vanessa, Nesta & I did the Tuff Nutz at Thurstaston (Sunday) and were delighted to just find out we came 2nd ladies team! 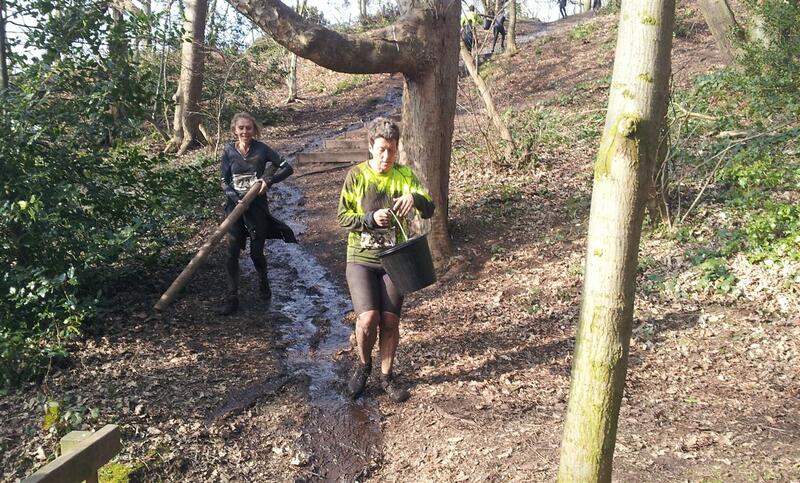 There was only one vet cat rather than a ladies & men’s vet cat, so we were extra pleased coming 2nd senior ladies. 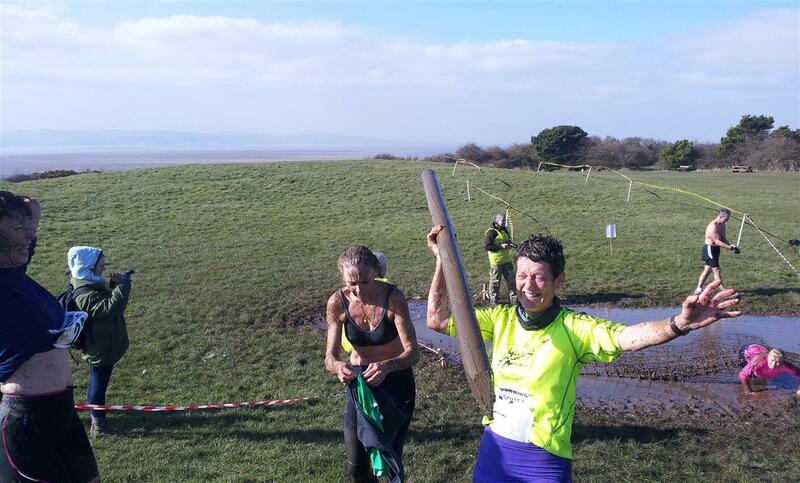 Quick summary : 160 minutes carrying a 6 ft log around an 11 mile muddy circuit, the flat bits were along the slimy sea shore or on the beach into the wind, the hilly bits on Thurstaton hill – a cruise by comparison! 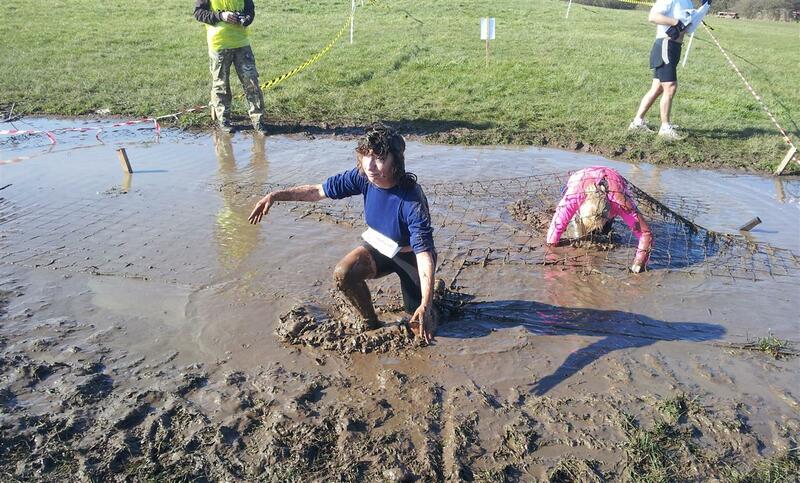 With 8 TuffTasks to complete along the way, two involved crawling under netting through wet mud, others carrying loads of sand, buckets of water, climbing up sea walls, balancing on milk crates, railing shuffling, ministry of silly walks plank shuffling, building human pyramids (thank goodness Vanessa landed upright! ), a muddy number memory test and impossible boy band and darts number quiz’s with press up penalties for wrong answers (we did 100 between us!). 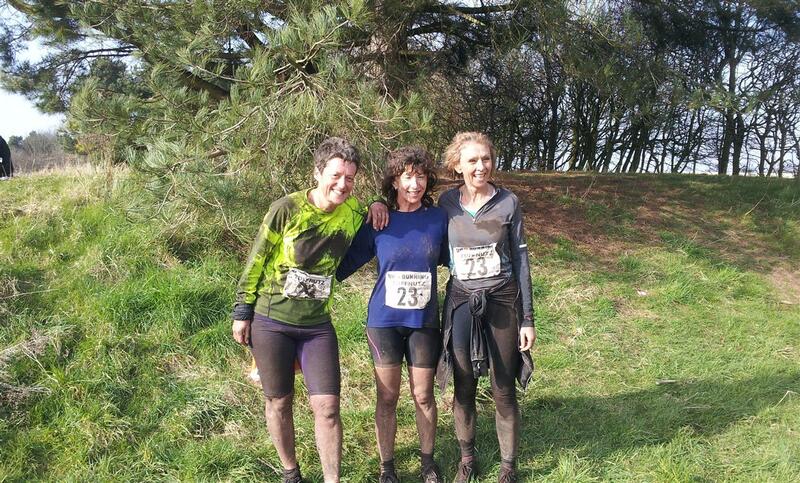 Anyway we all had a great time and were still laughing & smiling at the end, under our blackened complexions – honest! Also on Sunday was the Cloud Nine Hill Race organized by Congleton Harriers. Please see the webpage below for full results. Dave Feakes cruised home in a great time to be first in for Helsby, quickly followed by Janet and Andy and Lesley who had a double weekend of races so well done for that. There is still time to do some spring training at Castle Park on Mondays at 6.30pm so please pop along as everyone is welcome and I think those turning up are seeing some significant drops in times lately too.